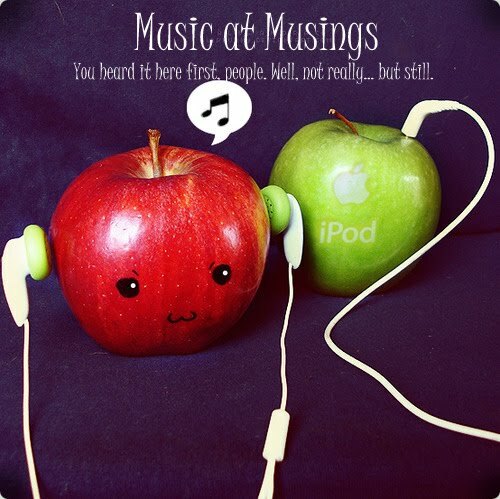 Good evening everybody, and welcome to Music at Musings! As you might have noticed, posts have been light on the ground. I can only apologize profusely for this, but school has taken a lot out of my time. Mostly I don't have any time for school to take! Although it goes and takes it anyway. How contrary. I know I keep saying this, but I guarantee that there will be at least one video uploaded this weekend. OK? Good! Let's get started! OK, so this isn't really by Marina, just the songs. The director, Ely, has made this exquisite music video for them! The Alice in Wonderland angle works really well, as does the princesses! Marina herself even tweeted it! The fantastic genius explains her vision here in the underbar, and here's her Youtube channel! This has been one of my favourite songs for years now. I really don't know why I didn't post this before! And the video is beautiful. Bring back black and white! But keep technicolour too! Alex Day - Pokemon, What Happened To You? This is easily my favourite Just Jack song. The lyrics are beautiful, the tune is so poignant and melodic... A commenter on Youtube said 'The juxtaposition of the intricate and near perfect chamber music and the deeply human﻿ and flawed vocals is what makes this song so beautiful.' Whoever you are, you just pwned me. And I admitted it. I can't decide which one is more impressive. You will all know that I detest incorrect spelling, but I think I can forgive The Ordinary Boys for this, when they've made such a cute, catchy song. Where oh where is the person who wants to sing this to me? It's taken me an entire week to write this post, so I hope you're happy! Oh, of course you are! I'm so behind on my music at the mo because uni applications are taking over my LIFE, but I have a song on my ipod called the Shampain Sleeper...wonder if its the same? Emma, The Shampain Sleeper is indeed the same as Shampain. Sleeper was it's working title in 2009.